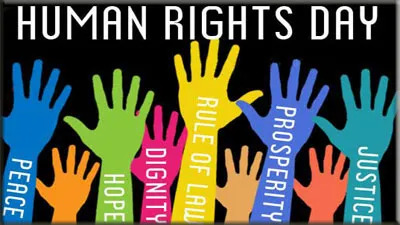 After the first democratic elections in South Africa, the 21st of March was declared to be Human Rights Day – to celebrate the nation’s progress with respect to Human Rights and remind South Africans of “the gross extent of human rights violations” and the events surrounding the Sharpeville Massacre. This year, the National Human Rights Month Celebration coincides with the centenary of former President Nelson Rolihlahla Mandela and Ms Albertina Sisulu. Nelson Mandela and Albertina Sisulu were national icons and heroes of the liberation struggle, who shaped the country’s vision, mission and value system, fighting against inequality and the abuse of human rights. In commemoration, the Government of South Africa announced that the 2018 Human Rights theme is the heroes of the liberation struggle. In South Africa, Anti-Racism Week is held annually from March 14th to 21st – linking Human Rights with the Elimination of Racial Discrimination. Today is not just a day to remember the injustices and discrimination that happened in the past; but, also to embrace the ‘fundamentals of human rights, equality for all and cultural diversity in South Africa’. As part of that call, we at AFS Interculture South Africa are commemorating Human Rights Day by appreciating the dignity and worth of every human being and of all nations and cultures. In 2013 the UN General Assembly, proclaimed the International Decade for People of African Descent which commenced on 1 January 2015 and will end on 31 December 2024, with the theme “People of African descent: recognition, justice and development”. AFS was founded upon the idea of service and grew into an exchange programme that our founders hoped would maintain and strengthen the international friendships and understanding that they had fostered during their wartime humanitarian work. Today, in South Africa, we aim to actively connect people – in order to learn to live and work together – by creating understanding and harmony between the diverse cultures within South Africa and globally. For it is only through understanding each other that we can stand together for all of our rights. Over the past 70 years, AFS has helped people from different cultures learn how to live together and become global citizens through a worldwide network of more than 50,000 volunteers. Working with schools and education experts around the globe through our study abroad and other programmes, AFS has developed educational strategies and activities to help on the path to understanding and acceptance. As members or supporters of AFS, let us confront hateful speech with thoughtful dialogue. Let us welcome our differences, instead of ignoring them. Let us recognise our prejudices and strive to overcome them by seeking diversity. As global citizens, the more just and peaceful world that we want must be for everyone.